﻿ Bandara Resort & Spa, Koh Samui | FROM $79 - SAVE ON AGODA! "The property and rooms are beautiful." Have a question for Bandara Resort & Spa? "Very close to fisherman's village and many convenient shops near by." "Rooms, facilities, breakfast, location and the most friendliest and supporting personell." "The staff was super accommodating (shoutout to Stephan!)." "A great family friendly hotel, with a fantastic location." 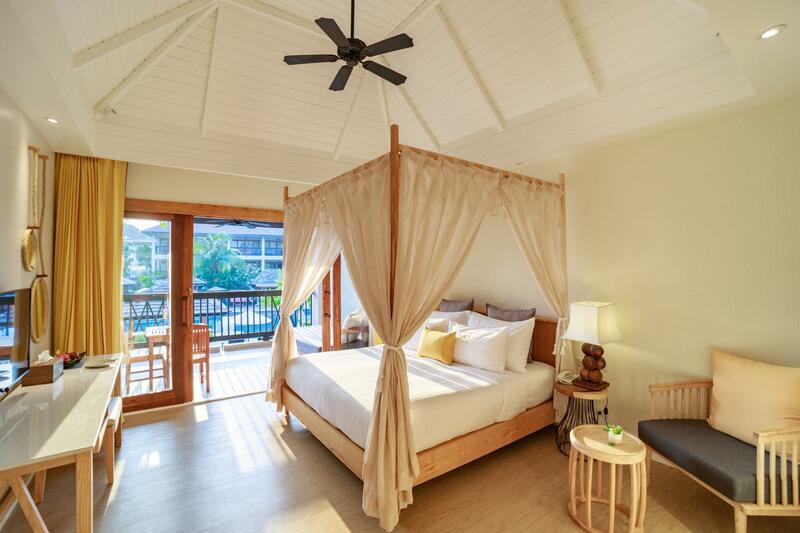 Bandara Resort & Spa is sublimely intimate, relaxing, and simply your perfect window to the stars. At this magnificent place you can encounter total leisure and discover the quality of easy-living with style that will not only awaken your hidden senses and emotions, but set your spirit free to soar in an alluring world of mystery, excitement, and endless possibilities. 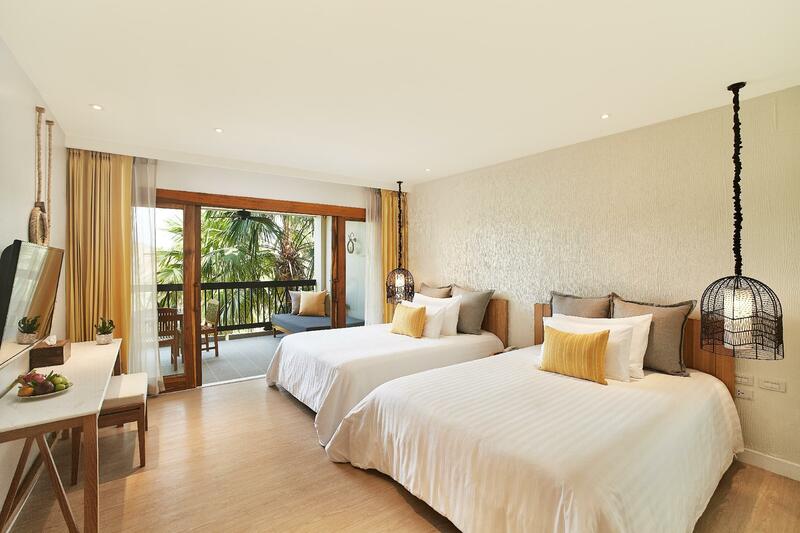 Set amidst a coconut grove on the golden beach of Bophut, overlooking the Gulf of Thailand and only a few minutes from Chaweng Beach, the resort features luxurious and spacious cottages and villas tastefully decorated and fitted with modern amenities at a high standard. To cater to your epicurean desires, the resort also provides a seaside restaurant that looks out onto the ocean and offers Thai and Western cuisine. An all-day dining restaurant located on the ground level of the main building offers full American breakfast, lunch, dinner, and special theme nights. Dinner services are also provided as private dining at individual cabanas by the swimming pool. Maintaining high standards at all levels, Bandara Resort & Spa will definitely make your stay a good one. 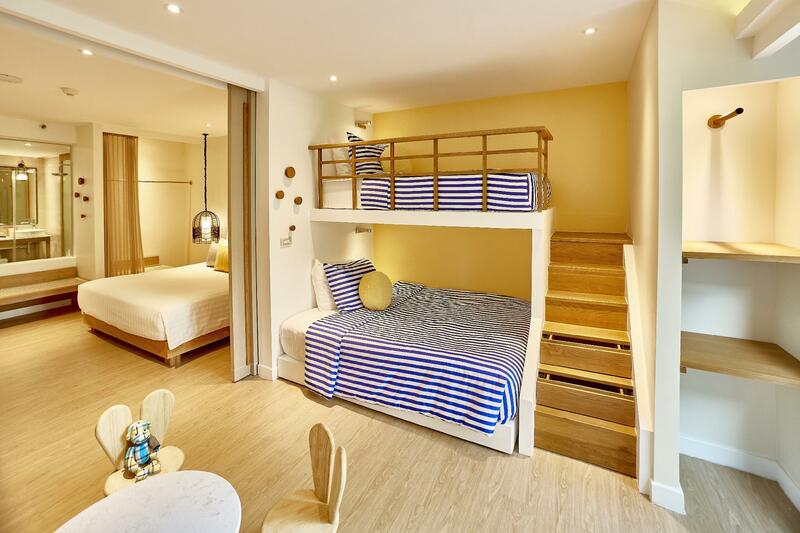 An extra bed is available upon request for certain room types. Please refer to the individual room descriptions for more information. one of the best hotels i've ever been to. the location is amazing- on the bophut beach, 5 min walk from the fisherman's village. a huge place with several pools, direct access to the beach and a great restaurant. the room is big, clean and well designed. amazing shower. very kind and helpful staff. great value for money. Amazing resort with great friendly staff. The resort is in a great location and a skip away from Bo Phut Fisherman's Village and night market (best night market in Samui in my opinion). Its the perfect family resort and life was just relaxing...buffet breakfast follow by the pool follow by the beach and repeat. Thank you Bandara! We loved this hotel. The location is great, right on the beach and less than 10 minutes walk in to Fisherman's Village where there is a large night market on Friday's and a smaller one on Monday and Wednesday. The facilities at the hotel are superb, the staff are really friendly and the whole experience was delightful. This was our second trip to the Bandara after having an amazing experience there on our honeymoon in 2013. This time we returned with two kids in tow. Amazing location, with literally 5star facilities and located in quite possibly one of the best spots in Koh Samui (Bo Phut). Staff were so friendly to us and the children. the cleaner kept our room nice and tidy everyday (and we are quite a messy family). Couldn’t rate this place highly enough. I would urge anyone contemplating to stay here to have no concerns whatsoever. You’ll absolutely love it here! Wow what an amazing team Bandara had. Stefan greeted us upon arrival and catered to everything our wedding group needed. He even organised room upgrade for our group! The facilities was always clean and all staff were friendly and always on hand to help! Or group had such an amazing time and experience at Bandara we didn't want to leave and a big part to that was due to Stefan and all the super friendly and kind team members here! Thank you so much for making our stay so wonderful we were so sad to leave! one of the best hotel i ever stay. the location nearby fisherman village. 5min of walking. have shuttle to go to chaweng beach. the staffs all very helpful. the room very spacious. the facilities very good. my kids love all the pools. definitely will come back. Location very good. Big clean rooms. Only thing that put me off and stop me from returning this place is the RUDE service!!!! 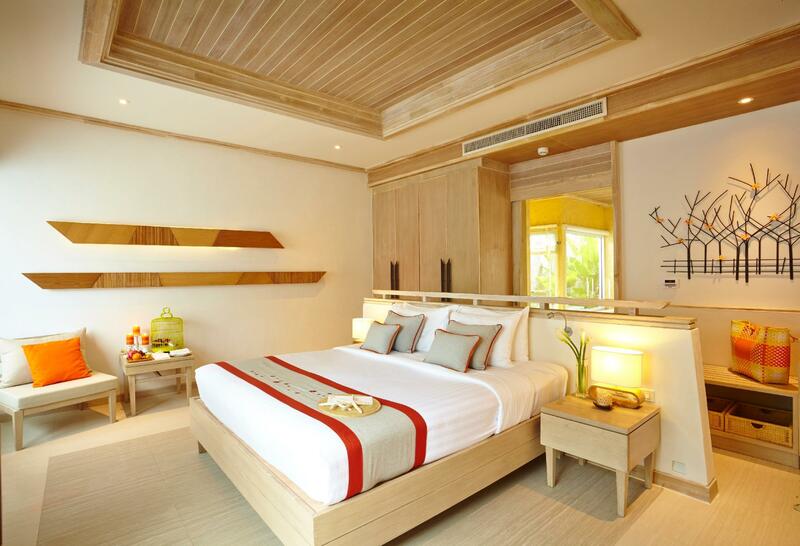 We booked to stay at the pool villa suite for 3 nights. 1. requested a late check out because we were moving to another resort, I understand there were guests coming so we were fine to leave at checkout time. But not only we didn’t get a complementary drop off ( which was guaranteed by the manager Stefan, we were rushed to check out. I got a phone call at 11:30, as we were walking towards the reception. And then Staff came to kick us out th room but we were not even leaving yet. 2. my drink was taken away from me by the pool even I said to the staff you can leave it here. And some of them seem to be quite desperate for tips as they always wait and stare at you as you sign the bill. Is such a shame the hotel has rude hospitality otherwise me and my partner will definitely come back. A great family friendly hotel, with a fantastic location. The hotel arranged a great range of nightly themed activities on the beach, or the hotel is only 400m from Fisherman’s Village to get out and about, for something different (I.e. markets, restaurants, sports bars etc.). We stayed 2 weeks with 3 young kids (6yrs, 2yrs & 3 months) and loved it. We will be back. Hi... We had a nice stay in bandara hotel koh samui. We stayed their for 4nights in pool villa. Check-in staff Mr stefan was very helpful,while waiting for room we were offered drinks,they have changing and relaxing area while waiting you for room to be ready. Manager Mr lance assisted us about places to explore and things to do in samui. Hotel comments - Our room was spacious and washroom was neat, bedding was clean, pool was enough for two people. amenities provided are useful and good quality. Room was hygienic. Lot of activities in hotel premises, candle light dinner,barbecue night,dinner by beach,child activities. Room service was nice and at restaurants food is tasty. Hotel breakfast was delicious,everyday different variety. Staff is very polite, happy and approachable. Things to improve, In room they should keep charging point close to bed and multi adopter. Shoe bag kept at closet was chargeable 100bath and it was not mention anywhere until we checkout. We had an AH-MAZING stay at Bandara. We had a beautiful (possibly upgraded??) spacious room overlooking the pool. The buffet breakfast was out of this world. Great location, only a short walk up the beach to Fisherman's village for shopping, massages, and dinner each night. Staff were very friendly and helpful with booking activities. The pools were lovely, and cocktail hour was great. Only negative was the restaurant was very expensive, especially considering all of the (extremely affordable) options down the beach at Fisherman's Village. 100% would stay here again. My friends and I stayed in this resort for 3 nights. We enjoyed our stay. Staff are very friendly and attention to details. Breakfasts were excellent, they change menu daily! Loved their swimming pool and direct beach access. It was very relaxing lying on the beach chair that the resort provided to sunbath. We had a couple in our group, they were there to celebrate their second wedding anniversary, their room was nicely decorated which we were all very impressed. The only downside was my room had bad smell in our toilet although it looks clean to me and our tap has no cold water. Also, my room and our friends room next to us can smell cigarette all the time, which we believe it was coming thru the air conditioning system. We complained to the staff, but they can't do anything about these, all they did was provide us more essential oil to burn to cover the smell. Hubby & I stayed here with 4 other couples, all aged in our late 40s, early 50s and had a wonderful experience. 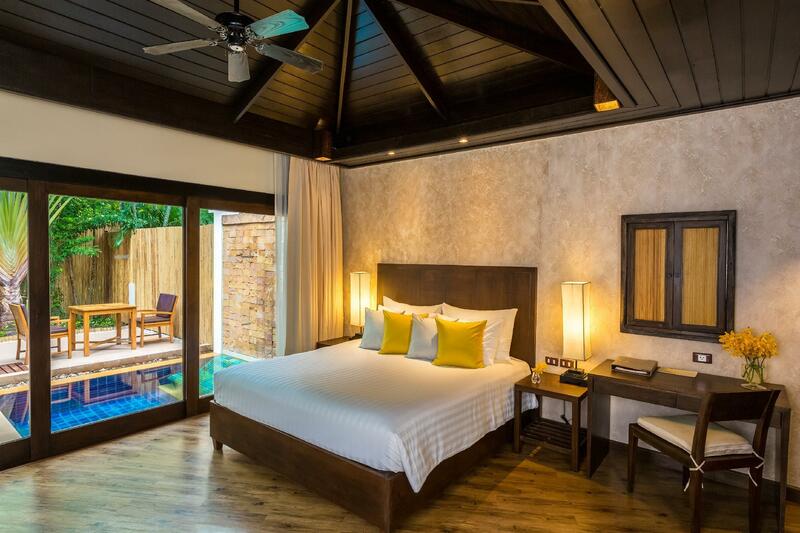 We had originally booked a standard type of room for 3 nights through Agoda but on arrival were offered a discounted upgrade to a magnificent villa with private pool, indoor & outdoor bathroom complete with sunken tiled bath, private cabana & sitting area. Loads of space inside, comfy bed & pillows along with delightful touches such as fresh flower bed decorations each day & a sweet anniversary gift & handwritten note from our pool boy Patt. This villa has now set the bar by which we will compare future accommodations. The Beach Bar was our favourite of the 2 & we ate at the restaurant one night for a buffet, possibly the only disappointment of our stay. Due to having our own private pool, we didn't use either of the 2 main pools but did swim in the clean, warm ocean several times. Nothing was too much for all the staff, especially the gorgeous Queen who met us on arrival & checked us in with efficiency & fun! The included breakfast buffet each day was delicious & plentiful. We would return if the opportunity presents & recommend it to all ages & holiday styles. Very close to fisherman's village and many convenient shops near by. Best kind massage shop right in front of the hotel! "GODEN (typo from Golden) HAND MASSAGE". The hotel private beach and pools are amazing. Nice garden. Not really impressed by the hotel staff though. Saw one night staff was lying on the lobby couch and playing game with his cellphone. Everything was wonderful there, the staff, the room, the breakfast, the facilities. And it is all surrounded by a big and luscious garden which is perfect for a relaxing trip. The only issue is going into the center of Samui, it is far away from the attraction and restaurants (is not walking distance). What a place! We stayed here for 10d and it was like leaving from home as we departed. We enjoyed a Plunge Pool Villa with super privacy and a very cozy atmosphere. The whole resort is nice and you can enjoy every corner of it. In the middle there is the central pool and some ponds plus a little park. All stretches up to the beach, with the bar and the restaurant located there. Talking about this, the food was just great and supreme was the service of all the staff there. Although the resort was fully booked, they were very attentive and quick in cleaning the tables for the next guests. Almost every day the resort offers another motto for dinner. Hawaiian buffet, seafood buffet and some more. The food is freshly prepared and this is what you taste! The prices are still pretty reasonable. In case you don't want to eat in the resort and by that save some money, there are some good restaurants very close. So, also no problem! In a view words: Great place! We'll come back! The hotel is a little tired in areas, nothing that a fee tins of paint can’t sort out & some nice curtains & accessories. All the staff were very nice & the breakfasts were lovely. Approximately 14 if us stayed at the hotel for our Sons wedding & the day itself was lovely, on the beach in the sun, until the heavens opened. The spa was very nice also & the pool areas & grounds were lovely. Beautiful gardens, rooms were very nice. Staff were wonderful. The water pressure in showers could have been better and we had quite a few mosquito’s in the room. Otherwise good location, however about 15 min taxi 🚕 ride to Chaweng city. Taxi will charge 400Bht each way . It adds up if you constantly want to go into the centre. Great that Bandara offers free shuttle to centre and back. Fishermen’s village is awsome with great restaurants. This was the 1st ever resort we stayed in at Koh Samui many years ago & we still spend a few days here each trip. This time we tried the pool villa & actually loved having our private yard & the pool was the perfect temp! We found ourselves spending alot of time in the yard & pool & the room was lovely. Staff have always been very friendly & the restaurant serves wonderful food. It is an expensive place to stay/eat/drink which is why we only spend 4 nights then move on. Walk into Fishermans Village via the beach or road for many food options & some shopping.